A UV glow party is the perfect stress-free party for children 8 years and up! What is better than a disco party? A UV glow disco party, that’s what!!! 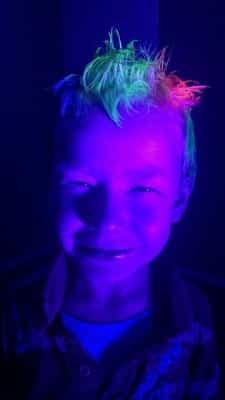 Krystal’s Kids Parties brings disco lighting, top 40 music, a smoke machine, a bubble machine and a UV black light to your event to make it one to remember! 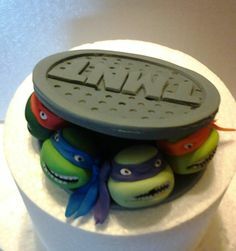 This party package is jam packed full of games, dancing, prizes and glowing fun! It is suited for 8-13 year olds. 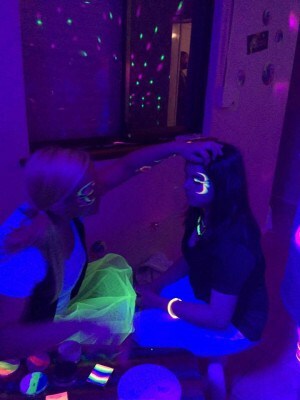 Teenagers and adults can also join in the fun with a less structured format (glow in the dark face painting will be offered for the full duration of the party instead of games). A very dark area is needed for the UV light to have optimal effect. This package requires access to a power outlet. Please make this available on arrival. 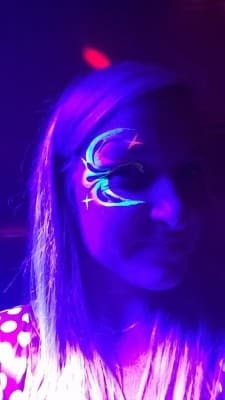 Glow in the dark face painting is a favourite! Glow in the dark hairspray is an exciting activity for boys and girls! * The sing-along-karaoke and activity time is a great space for the children to have a drink, something to eat and socialize, before the structured games recommence. You want your child to have the most fantastic day, but what does that mean for you? Usually, it means stress and dread at the thought of the day and extreme relief when it is finally over. 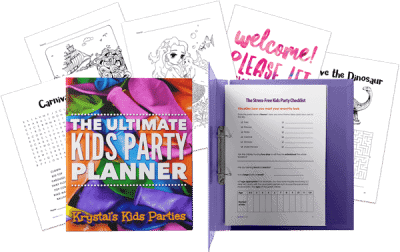 I’m giving away The Ultimate Kid’s Party Planner. Just fill in a short form and I’ll send you the printable planner (PDF format) straight to your email inbox. There’s no cost and no strings attached. Hi! My name is Krystal. 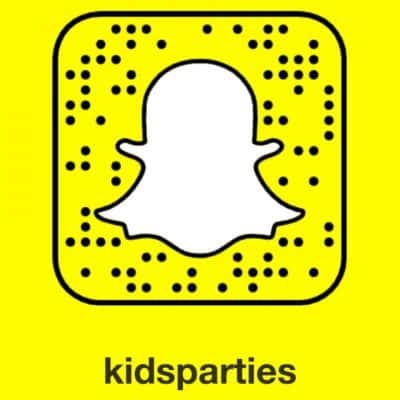 If you are planning a party for your child in Perth, Western Australia, then you’re in the right place. I use professional FDA approved cosmetic grade face paints that are safe and hypoallergenic to the skin, so you don’t have to worry about any scary reactions. 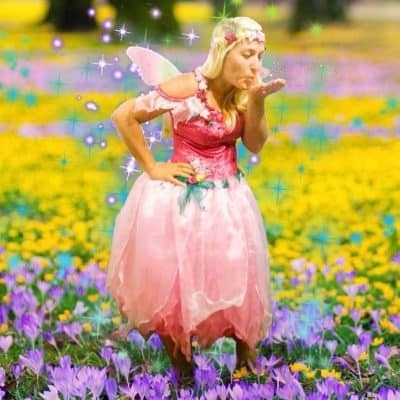 I am currently studying primary school teaching and have a passion for creating top quality entertainment in Perth. 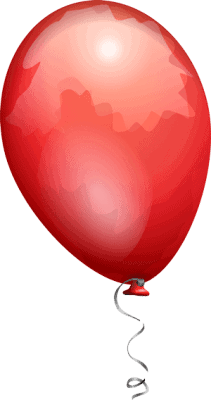 I have my Police Clearance, Working With Children Check and Public Liability Insurance. Make sure that you always check that the children’s entertainers that you hire have had these important safety checks. Please feel free contact me if you have any questions. I look forward to hearing from you.